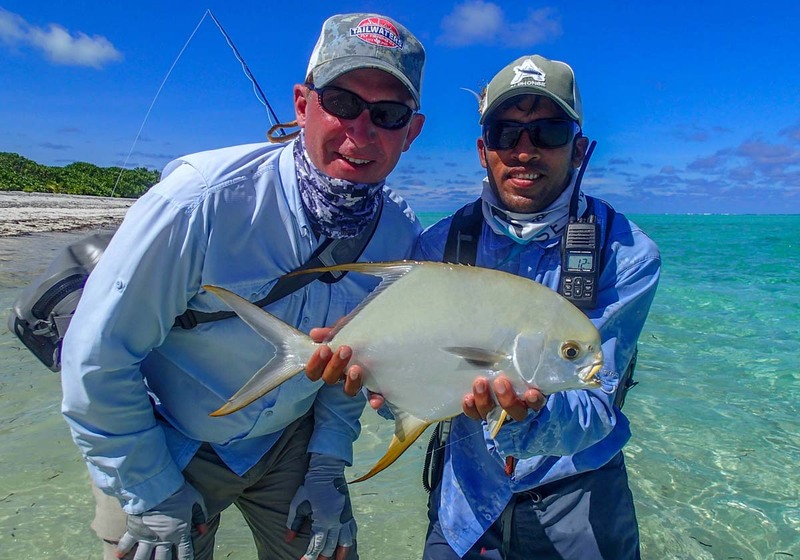 Despite the end of the fishing season in sight, St. Francois, Bijoutier and Alphonse continue to produce incredible catches on a daily basis with numbers of certain species increasing with the change in season. 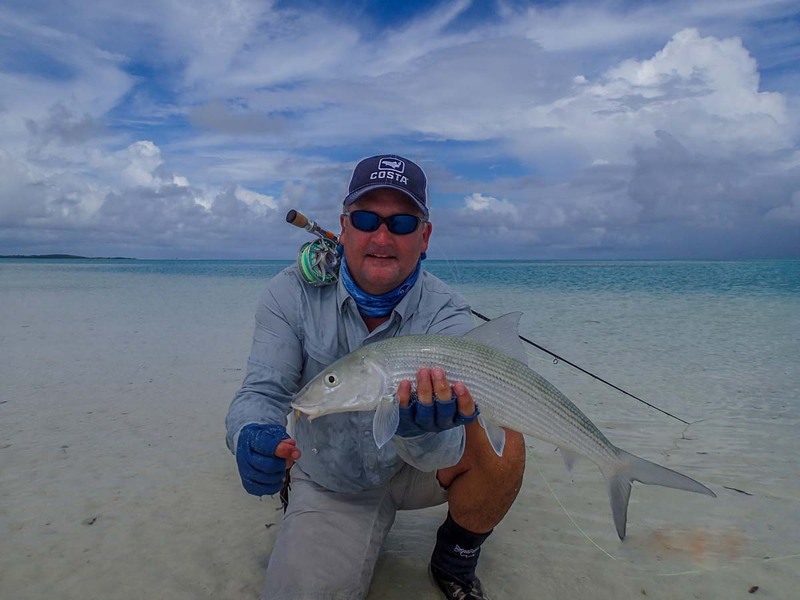 The South-Easterly winds have now begun to increase, changing currents and bringing with it some cooler water which livens up the flats. 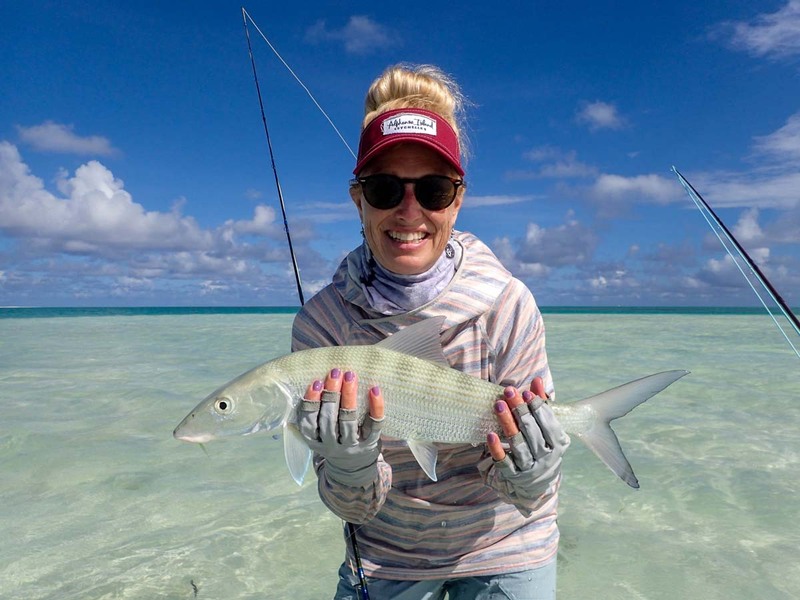 St. François is famously known for producing hundreds of Bonefish on a weekly basis with this being no exception with a weeks tally of 499. 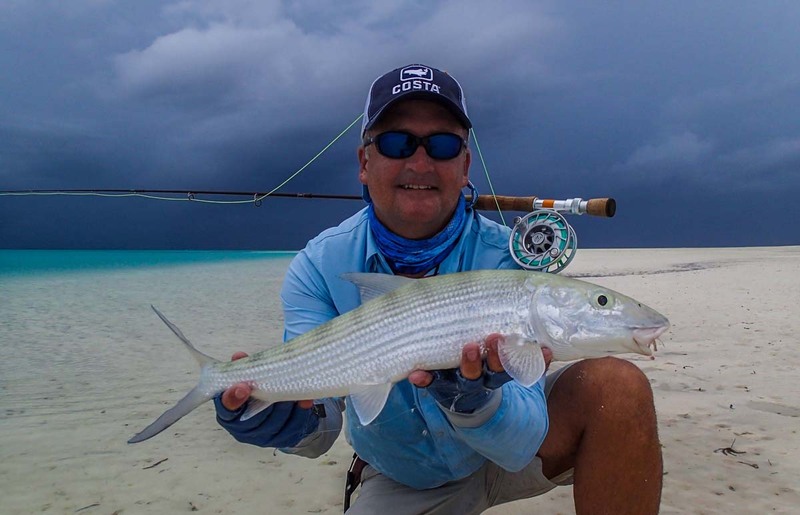 The large spring drops in the morning provided some fantastic Bonefish action for all who were keen to bend the rod. 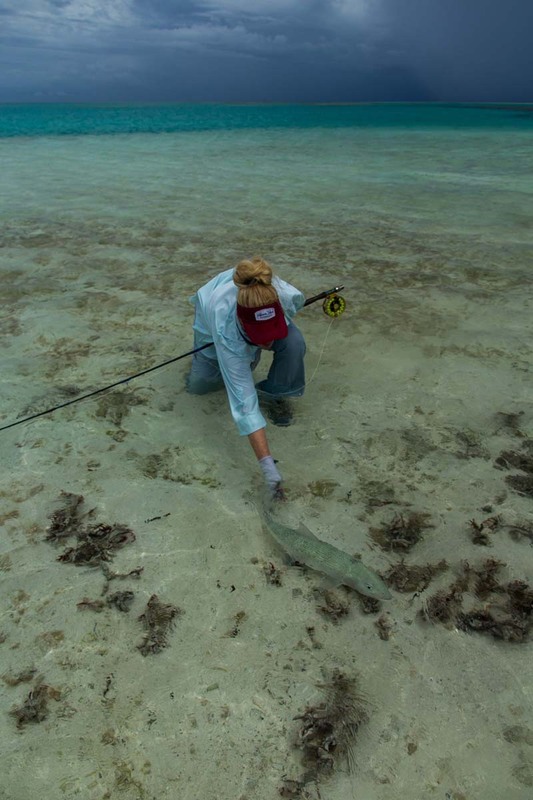 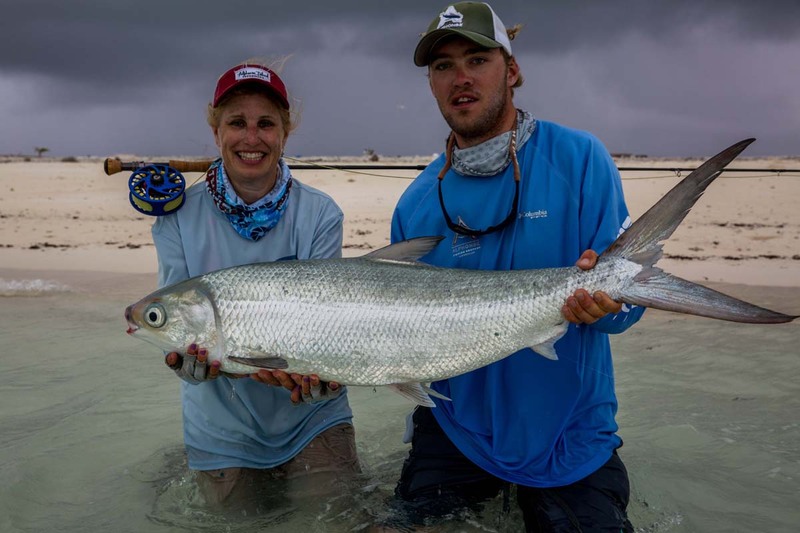 Not only did the cooler water entice good numbers of Bonefish, but also some large specimens. 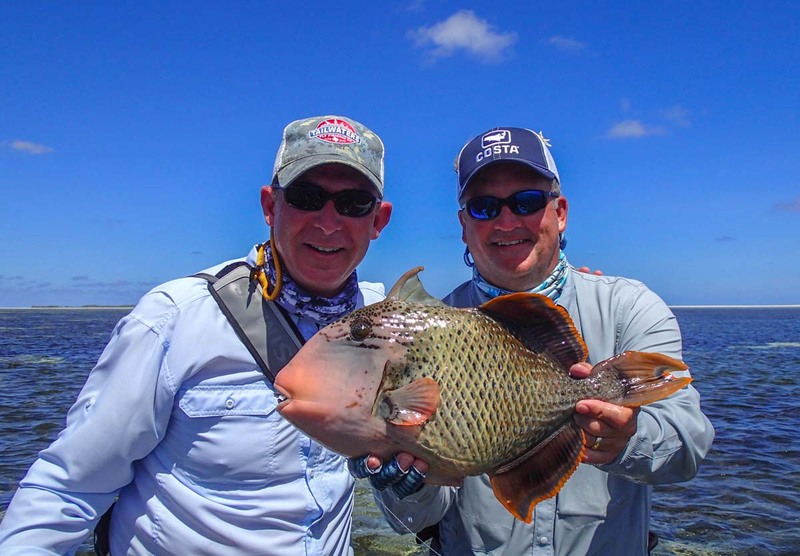 Jim B was in the right place at the right time and was lucky enough to encounter one of these beasts. 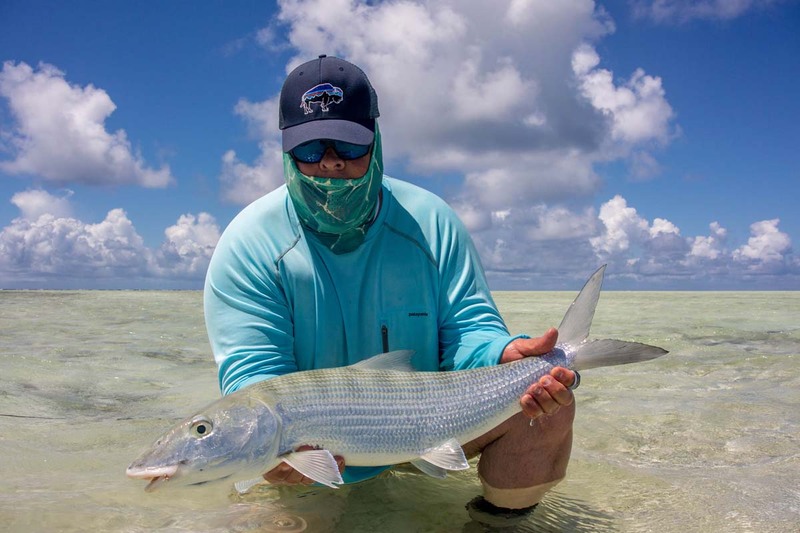 After seeing the backing knot disappear into the distance on a few occasions, Jim managed to subdue the fish which measured a whopping 74cm with an estimated weight of 9.5lbs, the biggest Bonefish of the season so far. 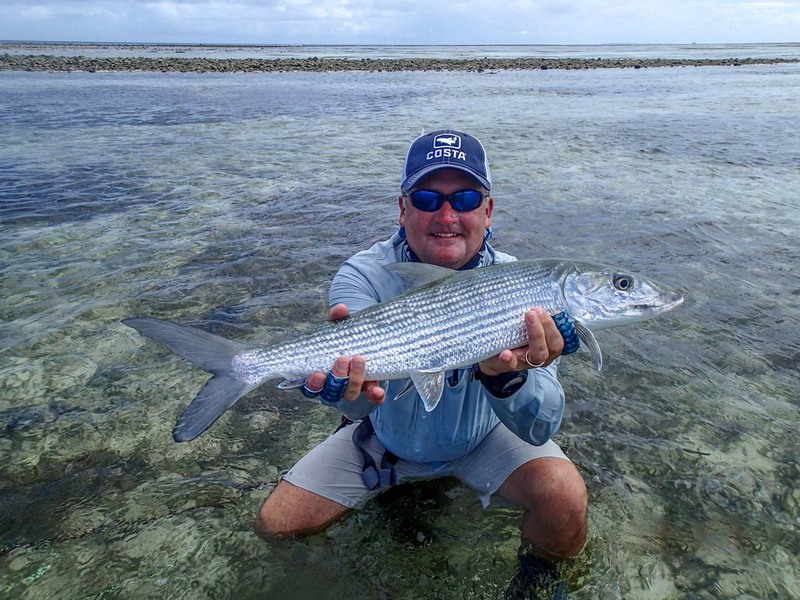 There were numerous awards during the week with David W, Sandy W and Normand T all joining the ‘20+ Bonefish Club’. 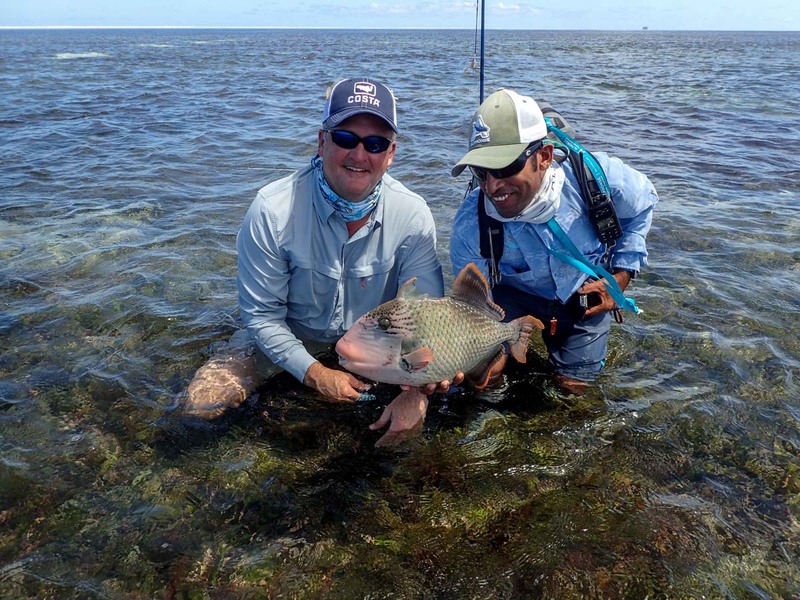 Richard C managed to land a Sailfish as well as a Bonefish on the flats earning him the only ‘Bills and Bones’ Slam. 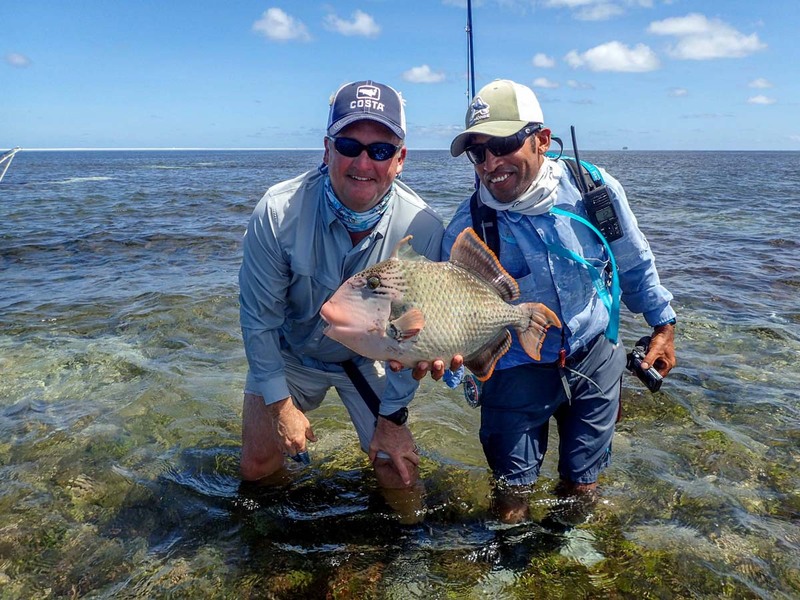 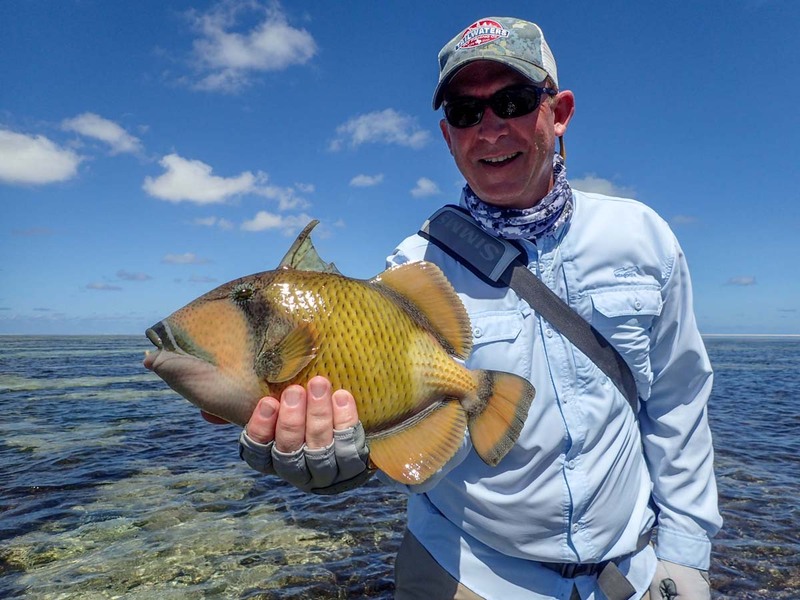 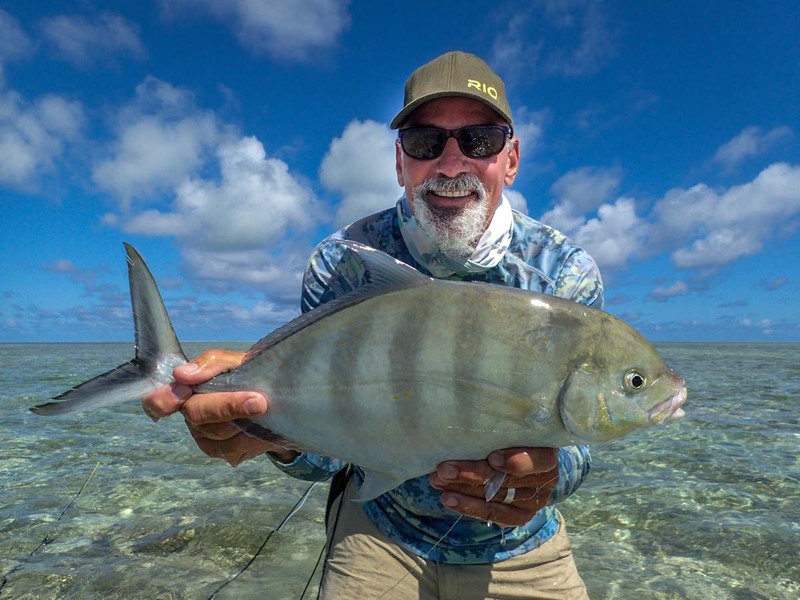 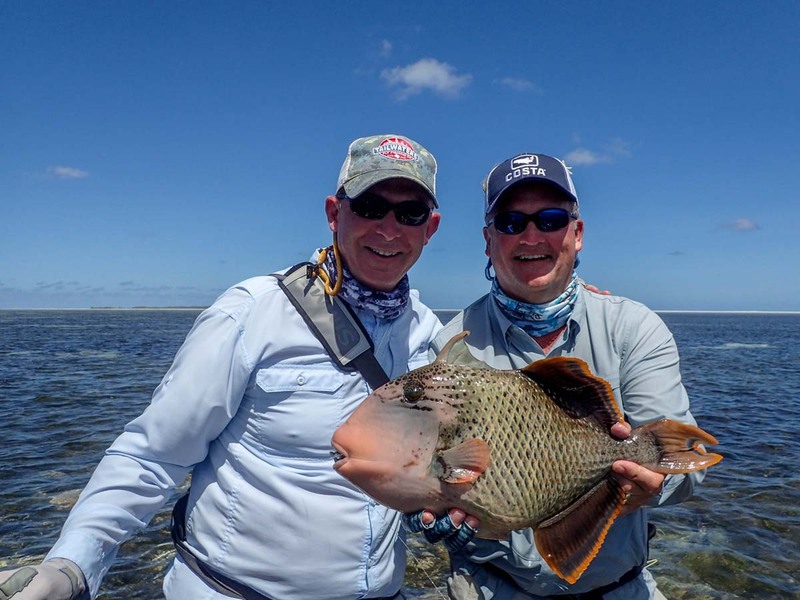 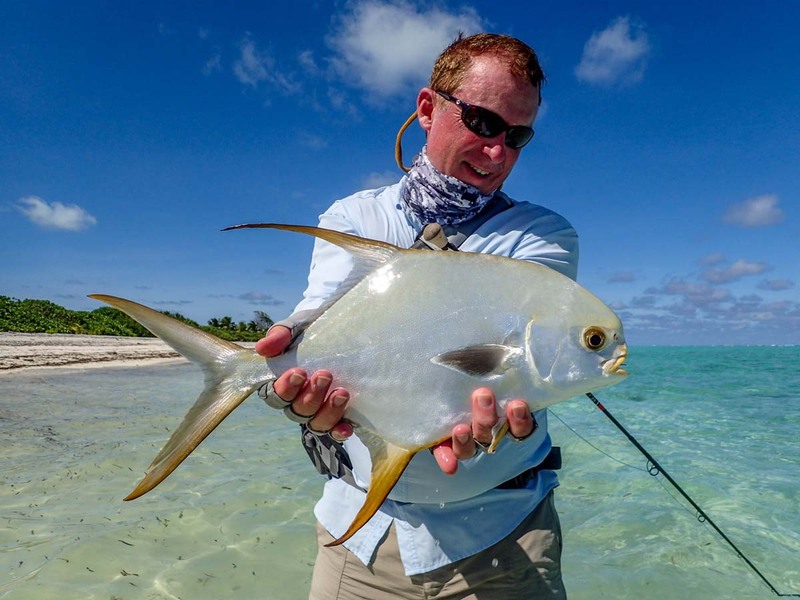 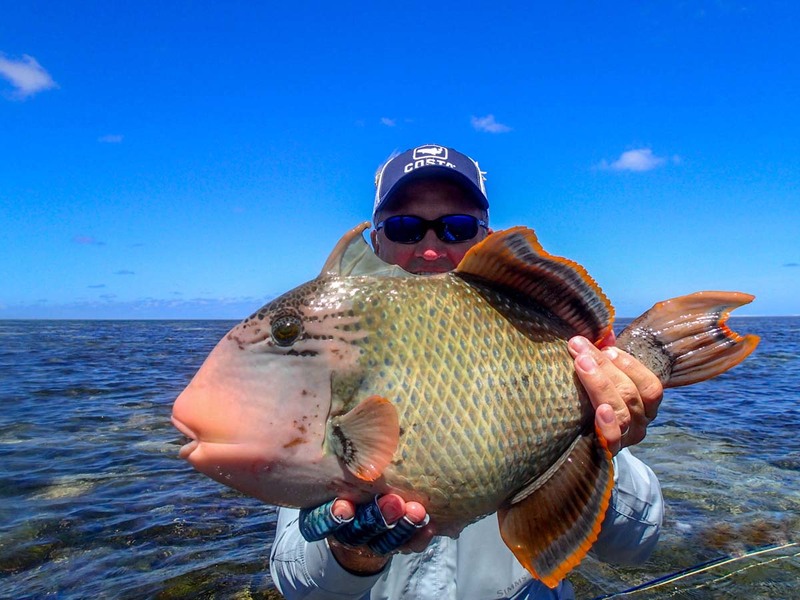 Randy G managed to land one of the most highly coveted ‘Flats Slams’ comprising of a Permit, Triggerfish and Bonefish. 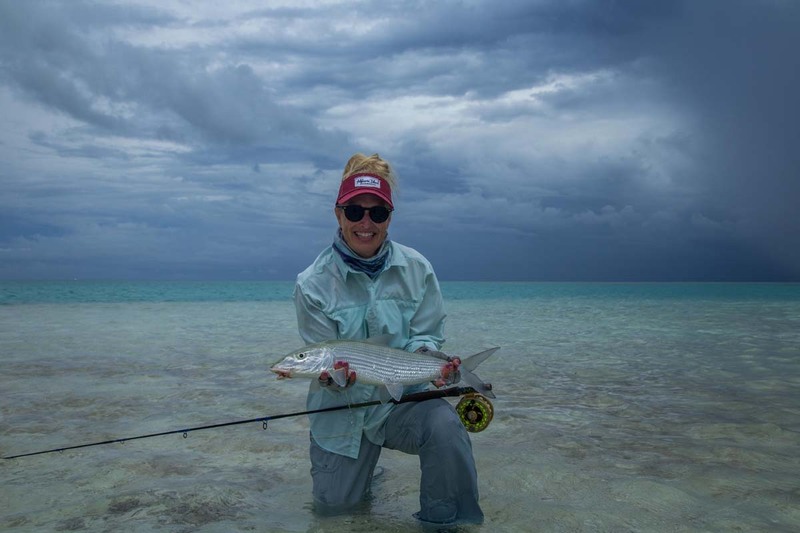 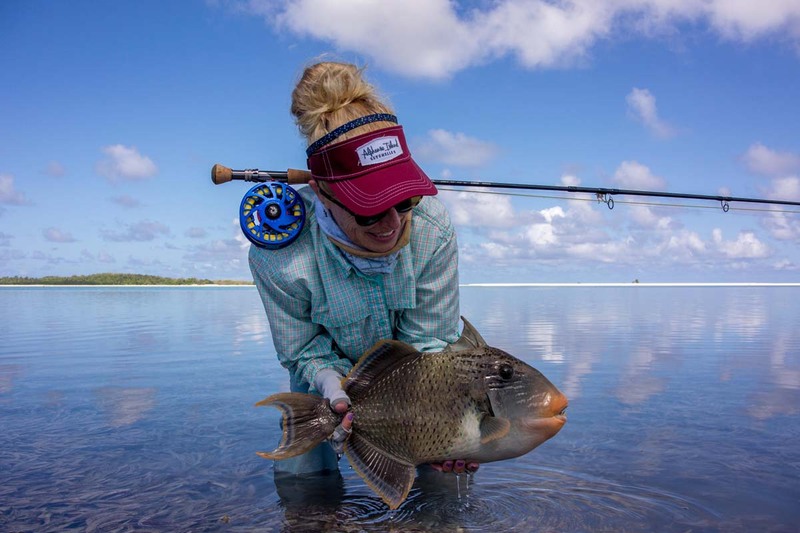 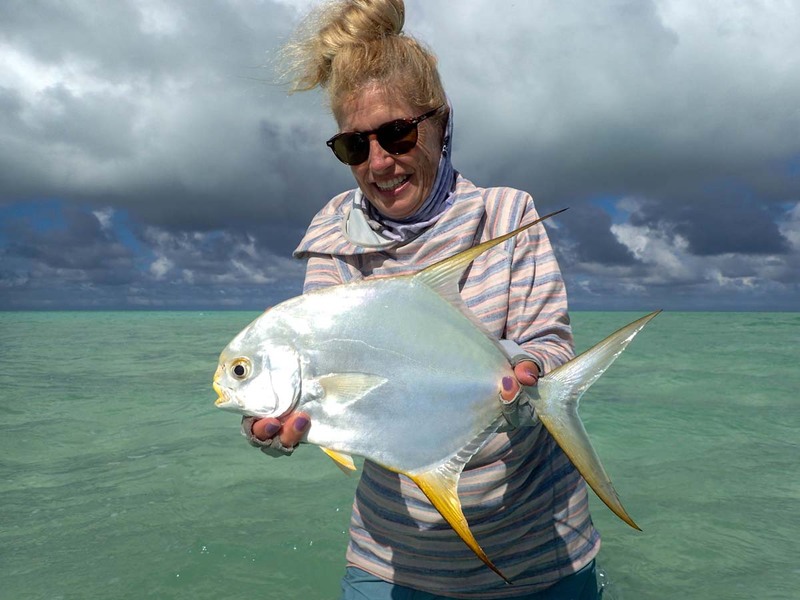 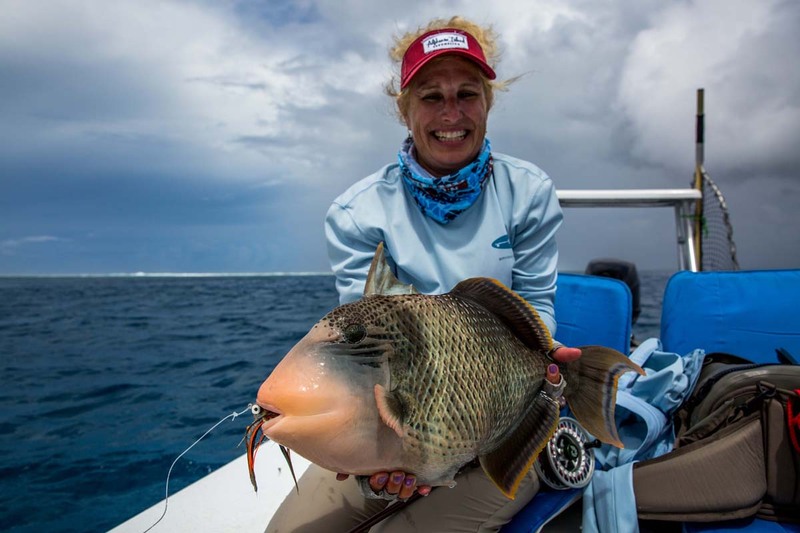 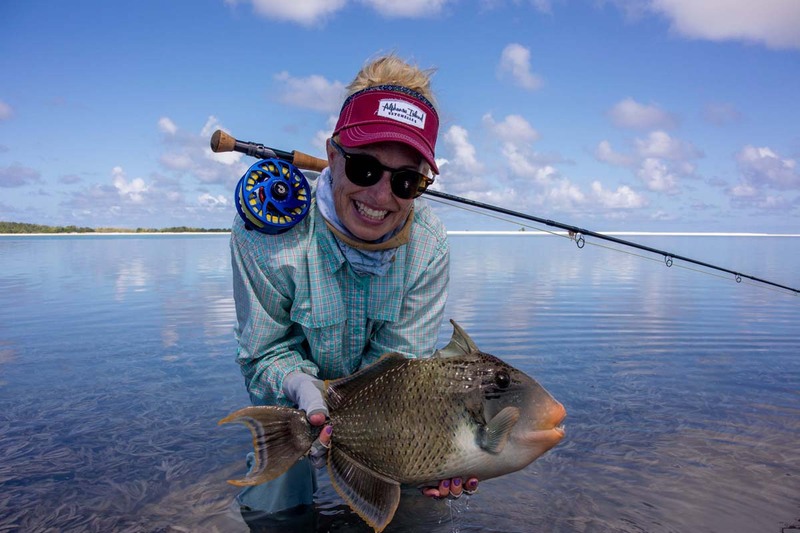 Julia B was undoubtedly the species champion of the week landing three Yellowmargin Triggerfish, a Milkfish and an Indo-Pacific Permit. 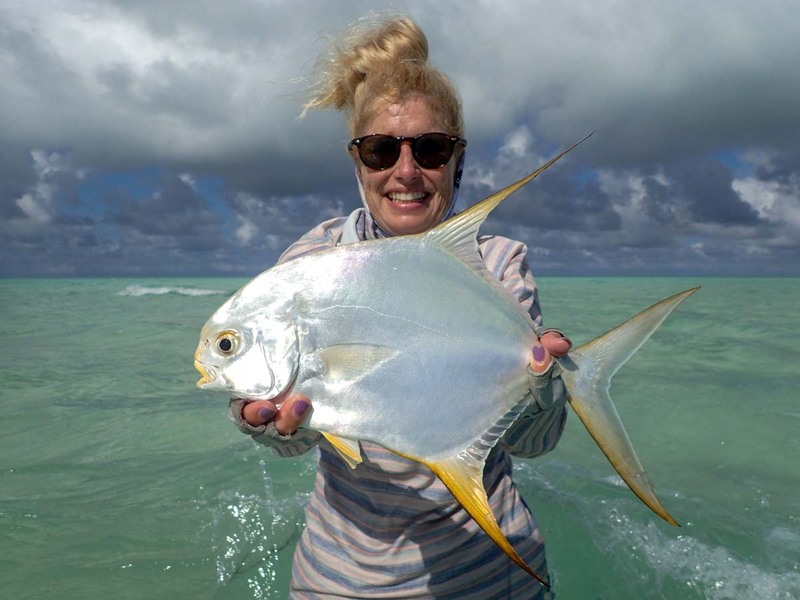 This week’s tides were optimal for surf walks in search of GT’s. 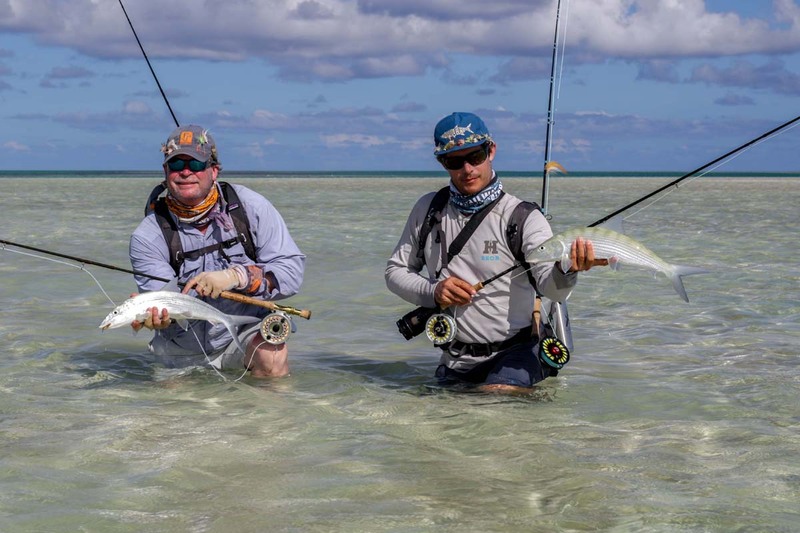 Brett M, Richard C and Scott R landed some fine specimens with Eugene P landing a monster of 128cm. 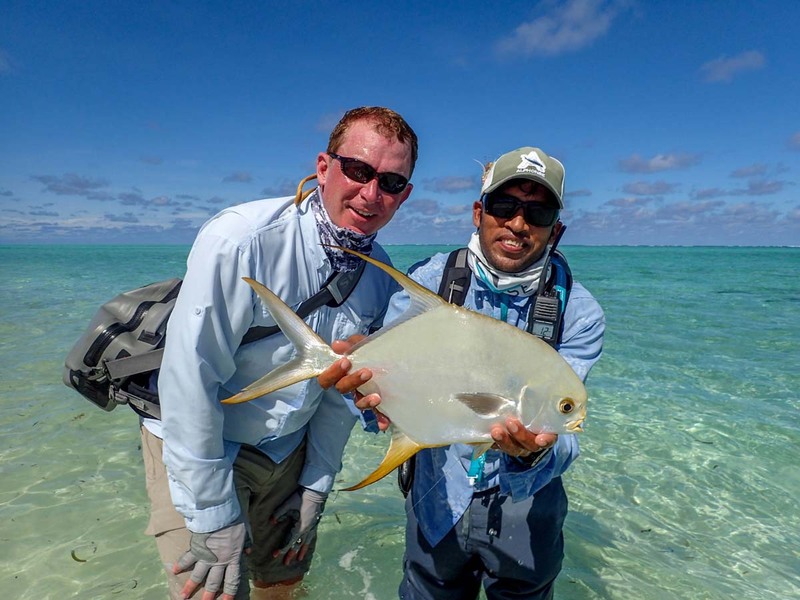 Tight lines from the Alphonse Fishing Co. team.